Providing the Kansas City area with professional, fast and eco-friendly junk removal services. Junk King Kansas City is your number one choice for storage cleanout. Remember that old saying about the best laid plans? Well, there comes a time when you need to rent a storage unit because you’ve run out of space. There’s some of those old files from a brick and mortar business you used to run. Maybe even some furniture from a house you lived in once that need a new space. However, it starts to pile up, eventually you start putting and more junk in there and now it’s packed. You really don’t know what’s in your storage unit anymore. That’s where we come in. Junk King Kansas City are the professionals with the right staff for all of your storage cleanout needs. It doesn’t matter whether you’re storing company or personal belongings. We’re on the job. Maybe your company is closing its doors or you need some room while you put an addition on? Keep in mind that we are only happy with your 100% satisfaction on every job. We pride ourselves on looking after all of your storage cleanout needs with the exception of hazardous waste. Got furniture you want moved? That’s no problem for our professional and experienced team. We get rid of everything in your storage facility in an ecologically friendly way. At Junk King Kansas City, we make a point of not adding to landfill problems. We are a full-service storage cleanout company that can get rid of those old business files in a secure and responsible manner. Maybe you’re not a business person at all. We can even handle personal junk as well as the things a landlord has had to put aside to re-rent a unit. Our trained and helpful technicians can get rid of broken down furniture and even the moldy carpets that sometimes get left behind and stored. Keep in mind there is no initial cost for you. We pride ourselves on transparency. Our expert team will come to your location and review the job with you. After that we will confirm your free estimate and clean out that storage unit for you right away. Taking advantage of our excellent storage cleanout guarantee means getting in touch with us today. Remember, we offer a free estimate in writing and promise to offer the best service in the industry. Junk King Kansas City is there for your storage cleanout needs. 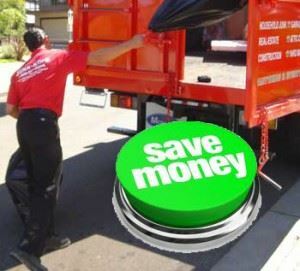 We even offer a business junk removal full-service with payment plans and a fully insured staff for your convenience. This entry was posted in Uncategorized on March 15, 2018 by Junk King. Last updated April 2, 2018 . Joining a gym isn’t just about running on a treadmill; you can also get the kind of specialized training that will take your exercise program to a whole other level. A new exercise facility is opening up in Emporia that is going to be managed by professional Mix Martial Arts fighter Daniel Gallemore. Members will have an amazing opportunity to train alongside Gallemore and get into shape like never before. That space that Gallemore is setting up in his used to be a salon storage area. That has required some serious modifications. “It used to be a salon,” Gallemore said. “There were sinks and counter tops and plumbing and lighting and speaker wires and all kinds of stuff up there along with the stuff that was in storage. It was very organized. We had to go through and demo everything and reorganize a lot of stuff. Dusty’s brother went up there and painted the walls. We’ve got to put tin on the ceiling now. We even had to tear some Styrofoam clouds off the ceiling that they had up there for decoration. We still have some wiring to do. Got to move some more stuff out of storage to downstairs and tidy some things up.” Are you ready to step into the ring? This is just a snapshot of one of the many gyms operating in the Kansas City area and it’s a perfect example of the number one benefit you get from joining a gym: personal attention. Even if you don’t have a trainer working with you there is still the opportunity to take all kinds of classes at the gym. If you have an occasional question about an exercise or piece of equipment those trainers will be happy to answer that. You’re not going to get that kind of attention in your home gym set up. Time to get real: Do you have a treadmill in your home? Some dumbbells? One of those crazy all-in-one gym workout stations? If so when was the last time you used any of that? 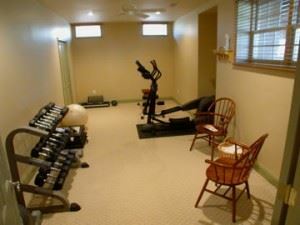 Yes, the intention was to make it easy to workout because it’s right in the next room but the reality is that you might not be getting the workout you truly need especially if you have limited space. Embrace that fact that that unused gym equipment is now officially junk. Now you’re choice is simple: call up Junk King Kansas City to get rid of it all! They’ll take it away and you can get serious about your workout by joining a gym. Who knows what you can transform into? This entry was posted in Junk Removal Prices, Kansas City Furniture Disposal, Kansas City Junk Recycling, kansas city junk removal and tagged Kansas City Treadmill and Exercise Machine Disposal on August 30, 2012 by Mike Stroud. Last updated August 2, 2017 . Is this the right time to buy an AC? Actually, we’re at the peak of the summer where air conditioners are fetching a premium price. If you can hold out for a couple more weeks you might find a better bargain as retailers are looking to clear out the showrooms of their “summer stuff.” That’s when the discounts will really kick in. But if your AC is on the fritz, you might not have a choice to wait. 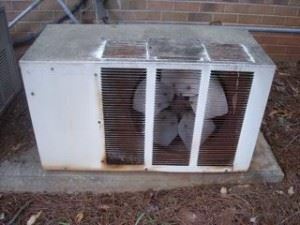 If you’re replacing a particular type of AC unit then it is easy to decide which type to buy. However, you might take a moment to consider all your options. For instance, many homeowners without central air have window units but there are also portable units that can be moved from room to room. This is a decent option when you want to conserve energy and save on your electric bills. Why cool off the whole house when you’re just using two rooms? You’ll also want to check out all the improvements in AC design such as adjustable thermostats, variable cooling and fan speeds. Some units have an energy efficient setting that will shut down the fan when the unit has achieved its desired cooling temperature. Your new AC should also have an adjustable vent which will allow you to direct the cool air and an easy to remove filer for hassle free cleaning. Make sure your new AC will be EnergyStar rated. That will guarantee the unit will be operating at peak efficiency which will translate into energy savings for you. The higher the number of cooling capacity or BTUs the more powerful the unit will be but think about room size. For a 150 square feet room you really only need around 5,000 BTU/Hour unit. After factoring in all those “factors” you’ll be ready to head off to the store to begin shopping in earnest but don’t forget about one of the most important factors and that would be getting rid of the old AC. You’re not going to be able to throw out your AC in the trash. Instead, call up Junk King KC and let them take away that AC to dispose of it properly. While they’re at it, Junk King can also make a clean sweep of your basement, garage or closet to cart away all kinds of junk you want to get rid of. You’ll find yourself cooling off a lot better in a house free of junk! This entry was posted in appliance disposal, junk king kansas city and tagged junk removal kansas city, Kansas Air Conditioner Disposal on August 21, 2012 by Mike Stroud. Last updated August 2, 2017 . There’s a big change heading Kansas City’s way and it could have a direct impact on the increasingly competitive real estate market. Google has selected Kansas City as a test town for its new and improved faster gigabit services. Google Fiber promises to deliver download speeds up to 100 times faster than what users are currently used to. What’s this got to do with real estate? Think about how fast a prospective buyer will be able to search through the listings? 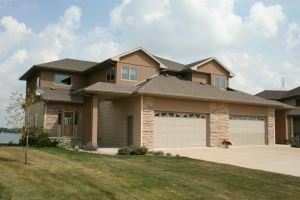 Home prices are beginning to tick up which means competition for listings are going to become fierce. You want to stay ahead of the curve by being out in front of as many of those listings as you can. They might mean a little out of the box thinking. Just as home prices are seeing signs of life, the foreclosure market is stabilizing but there are still plenty of properties on this side of things which are every bit as viable as new home. What you need to do is steer a prospective customer away from the stigma of a “foreclosure” and closer to “dream house.” That can easily be accomplished when you enlist the services of Junk King KC. We all know that some occupants of a foreclosed home stopped caring a long time before they finally moved out. Whatever the circumstances, they made the choice to give up their property. Once they crossed that line they really didn’t care what happened. In many cases, owners would literally toss the keys over their shoulders and leave the property abandoned. Sadly, some of these same properties have become squatter’s homes. When that happens, all kinds of nastiness can be occurring. Don’t freak out about what you might see when you first step into a foreclosed home. Instead, know an experience junk removal team will be standing by to strip that house bare of all garbage great and small. Junk King Kansas City works great with realtors to get a property ready for the market once again. A call to Junk King sets the process in motion with a visit to the property by a supervisor. That supervisor will assess the amount of garbage to be removed and how much space it will take up on a truck. Based on that amount, you’ll be given a written estimate and that’s the price you pay. No hourly rates. That’s going to come in handy especially if this is a big removal job involving pulling up carpets or hauling furniture from a second story. With the junk loaded on the back of the Junk King truck you can also be assured they’ll do everything possible to make sure it is recycled and reused. It’s a great selling point for your business and the junk business. Get your edge back with help from Junk King KC. This entry was posted in junk king kansas city, Junk Removal Prices, Kansas City Foreclosure Clean Out, kansas city hauling, kansas city junk removal and tagged Kansas City Real Estate Clean Out, KC hauling, KC Junk Removal on August 1, 2012 by Mike Stroud. Last updated August 2, 2017 . Are you a good bargain hunter? One of the things that most savvy shoppers look for is a sale price. Whether they’re buying milk, a car or a new sofa there’ll always be enticed with advertisements of discounts. Around the Kansas City area there are plenty of bargains to be had on all sorts of goods and services; you just have to know where to look for them. Thanks to the Internet it easier than ever to find a coupon for just about anything. That’s why if you plan on going out shopping groceries or school supplies do a quick search on the Internet for what you’re looking for and you might find some printable coupons that will help save you big bucks. Even with all the bargains to be had around Kansas City there are still some businesses that have built in discounts. In other words they don’t have to go out of their way present a special bargain because every day is a bargain. One such business that operates under this bargain principle is Junk King Kansas City. Junk King is part of a national franchise of junk specialists. Because they are part of a national franchise the way the decide on prices are dictated by headquarters. You know you aren’t getting ripped off when you’re working with a national franchise with an established reputation. What’s great is that price is based on truck space and not workers hours. Here’s how it works: when you’ve got junk you’re ready to remove give Junk King call and set up an appointment for a supervisor to come to your home and assess the junk pile. They’ll figure out how much space on the truck will be needed to haul away all that junk. Based on that will provide you with a written estimate. There are no hidden fees, no surprises and no extra charges. If it takes one hour or four hours for the Junk King crew to remove your stuff the price will remain the same. The only way that estimate will change is if what is loaded on the truck is actually less than what was figured out the first place. When that happens you’ll actually end up paying less. If you have ever been burned by so-called professional movers who add on extra hours travel time and lunch breaks then you know what a benefit is not to be charged an hourly rate for this kind of labor intensive job. The Junk King Kansas City crews will be completely professional and not engaged in any shenanigans. This is really the best and most affordable way to get rid of all of your junk once and for all. That’s gonna be a bargain in anyone’s book! This entry was posted in junk king kansas city, Junk Removal Prices, Kansas City Junk Recycling, kansas city junk removal and tagged junk king kansas city, Junk King Pricing, junk removal kansas city, Junk Removal Prices on July 19, 2012 by Mike Stroud. Last updated August 2, 2017 . Aside from the many official congregations, there is another type of religion in Kansas City and that would be barbeque. Kansas City is so serious about its style of BBQ that a couple of local enthusiasts started the Kansas City Barbeque Society with the simple mission “to celebrate, teach, preserve and promote barbeque as a culinary technique, sport and art form.” They accomplish this goal by not only sponsoring over 400 BBQ contests around the country each year but also by training and certifying the judges who will be charged with the daunting task of picking the best BBQ among dozens of entries. What’s great about the KCBS is that they might be BBQ experts but they’re not BBQ snobs. They appreciate all varieties of barbeque styles including St. Louis, Texas, Memphis and Carolina. Of course, they’ll always have a soft spot for Kansas City BBQ. Anyone can become a member of the KCBS and as such will receive the monthly newsletter the Bullsheet and get discounts on sponsored events. To become a sanctioned KCBS judge you merely need to attend a half day class. It’s a safe bet this is one class that will be extremely tasty! Of course, a barbeque society wouldn’t really be much of a society if it didn’t offer its members some inside tips on grilling, smoking and BBQ. With over 14,000 members you can count on some truly amazing recipes being made available all throughout the year. Summer is really the premium BBQ season. It’s when most of the amateur chefs take the covers off their old grills and get them ready for some amazing dinners and cook-outs. There are some regular grillers who do a decent job of maintaining their grill all through the harsh winter months. However, most of us use our grills exclusively during the warmer months which means when it turns cold, the grill goes undercover. If this patterned has been repeated over the years then it’s a safe bet that grill has taken a beating. After joining the Kansa City Barbeque Society and getting a hold of all those exclusive recipes you don’t want to ruin them by cooking on a bad grill. Buying a new grill is like buying a new car. You want to head out to the showroom to check out the latest models and check out what’s under the hood. Too bad you can’t bring in some ribs to really try out the grill. Before bringing you new “baby” home, you’ll have to get rid of the old clunker. That can be handled by hiring a crew of professional junk haulers at Junk King Kansas City. The old grill can’t be donated and can’t be left on the curb. It can only be picked up and carted off on the back of a truck. The good news is that same truck and also helps you get rid of any other junk you want tossed out. If you’re serious about your BBQ then get serious with your grill. Out with the old and in with the new! This entry was posted in Kansas City Furniture Pickup, Kansas City Junk Recycling, Kansas City Trash Pickup and tagged Kansas City Grill Disposal and Recycling on June 13, 2012 by Mike Stroud. Last updated August 2, 2017 . Mahaffie 19th Century Fireworks and Olathe Civic Band Concert. Starting at 6 p.m. you’ll be able to join the Olathe Civic Band for a rousing concert that will be followed by 19th century fireworks by the Olathe Fire Department. Folks are encouraged to bring lawn chairs, blankets and picnic dinner. Legacy Blast at Legacy Park with food stalls, moon bounces, music and of course fireworks. KC Riverfest will be held at the Berkley Riverfront Park. The gates open at 1 p.m. for festival food, live music, children’s area and fireworks. As for the actual 4th, it will be covered with firework displays and celebrations throughout the day. You might be fortunate enough to live within viewing range of one of those great fireworks show. If so, then throwing an old fashion 4th of July bash could be plenty of fun. To get ready for that party you should enlist the services of Junk King Kansas City. These guys might not be the best backyard grillers but they can certainly help you clear out the clutter from your backyard a few days before the party. If you take a good look in your backyard you’ll probably realize you’ve got a lot of junk that can be tossed away. Old patio furniture, kiddie pools, a broken swing set and construction debris are among the common items found in most Kansas City backyards. The professional junk haulers will pile up all this stuff into the back of their truck no matter what kind of shape it’s in and they don’t have to stop there. These same junk haulers can also clear the clutter from your garage, basement or attic. After all, if you’re going to throw a party, you’re going to open up the whole house so why not get it junk-free once and for all? After the house and yard are clear you can get down to the real work: planning the menu! Just don’t forget the deviled eggs! This entry was posted in junk king kansas city, kansas city hauling, Kansas City Junk Recycling, kansas city junk removal, KC Junk Removal and tagged Kansas City July 4th Junk Removal on June 10, 2012 by Mike Stroud. Last updated August 2, 2017 . Starting with the Memorial Day weekend, there are two other big holidays that occur every summer. Those would be the 4th of July and Labor Day. Depending on when those holidays fall during the week, it could mean an extended weekend. That’s the bonus every worker who gets off on those days hopes for. One thing that is certain is that no matter when those holidays occur, certain services provided by the city will be postponed; specifically garbage pickup. While you might fall into the normal routine of putting your garbage out on the right day, the holidays will leave it baking in the sun for one more day. There’s not much you can do about that but it could inspire you to take on a different garbage related project and that would be removing all of your useless junk by hiring professional junk haulers like Junk King Kansas City. You won’t have to wait for to get a job like this taken care of. Already many Kansas City residents have discovered the benefits of hiring Junk King’s professionals to help them de-clutter their homes and businesses. Unlike the garbage men working for the city, the professional junk hauler will be working for you. It starts with making an appointment and that appointment will be honored not be keeping you waiting for hours but by showing up on time. For that appointment, the crew will be following your orders. If you have an old washing machine down in the basement that you want removed they’ll handle it. If you’ve got a rotted trunk up in the attic they’ll bring it down. If you’ve got a moldy sofa in the garage they’ll pull it out. You don’t have to feel guilty about making this crew climb stairs: that’s why they are professionals. These junk haulers won’t look at something you want tossed out and say, “Sorry, I can take that.” They’ll take anything. Try that with the garbage man! By hiring Junk King KC, you’ll be getting rid of all that stuff you’ve been holding onto for years. This is going to open up a lot of possibilities in your home. If your garage was piled high with junk, now it can become a work-out room or even a place to park your car. Imagine that! If you had a basement or attic filled with stuff that is now gone, you can turn those places into a home office, guest room or screening room! The possibilities are limitless. First you have to make that commitment to cleaning out the clutter. If you own or work at a business, you could also benefit from these same professional junk haulers. On some level this is even more important than cleaning out the clutter in your home especially if you have customers coming through. Do you really want them to see all that junk? Get rid of it today! This entry was posted in junk king kansas city, Kansas City Junk Recycling, kansas city junk removal and tagged junk king kansas city, kansas city junk removal, KC hauling on May 31, 2012 by Mike Stroud. Last updated August 2, 2017 . Moving from one home to another is a good time to take stock of everything you own. If you’ve decided that it’s time to downsize then this inventory is crucial. 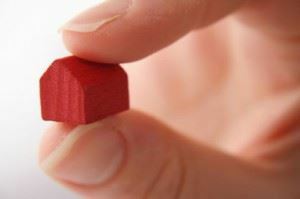 Many couples and families have decided that for the foreseeable future downsizing makes more sense. Living in a smaller, more manageable environment will help you save for retirement. On the other hand, if you’re ready for that retirement the last thing you want to deal with is upkeep in a huge home. To begin the downsizing process, you need to “thin out” your stuff. This process should begin several months before you move. There should be no rush to get rid of your stuff. Keep in mind that you don’t want to bring anything with you that would be considered junk or clutter into your new home where storage space will be at a premium. You can begin with tackling a closet clean-up one weekend. The next weekend go for the basement and so on. As you make the rounds in your home you’ll quickly find you’ve got plenty to take with you that you can’t live without but there could be just as much (if not more) of stuff you can get rid of. Start making a pile. Once you’ve got the closets and other storage areas cleared out of the small stuff, think about the big items. Will you need that extra mattress that nobody will sleep on because it’s so old? Will you need all that baby furniture that is busted up? Will you need all the sleds, toboggans or other winter equipment? If you’re moving to Florida you sure won’t! There are probably a lot of these types of belongings that can be toss into that pile. Now move onto the really big stuff like appliances or old televisions or computers. You don’t want to bring that into the new home so into the pile. By now, that pile of yours could be looking rather huge. Have no fear. All you need to do is schedule an appointment with a team of professional junk haulers like Junk King Kansas City to show up with their huge empty truck. In a blink of the eye, that once empty truck will be filled with all your clutter and hauled away. Remember that just because you’re not taking something with you doesn’t necessarily mean it has to be junked. You could try selling off some valuable antiques to a local dealer. Even if you put those on consignment it is better than having to drag them along. Some items you might want to donate to charity but make sure you’re not passing along anything that is useless. That belongs in the junk pile! Be sure also to ask your junk haulers where they’ll be taking your stuff. Hopefully, they’ll be able to dump a lot of that at some of the Kansas City recycling centers around town. And yes, that would qualify towards reducing your carbon footprint! This entry was posted in Home Downsize Tips, Kansas City Furniture Disposal, kansas city hauling, Kansas City Junk Recycling, kansas city junk removal, KC Junk Removal and tagged Junk King, kansas city hauling, Kansas City Home Downsize, KC Home Downsizing, KC Junk Removal on May 18, 2012 by Mike Stroud. Last updated August 2, 2017 . How does your Kansas City garden grow? For many that answer can be summed up in one word: mulch. The recent warm spell has many Kansas City residents to starting their lawn mowing regimens a lot earlier. This is also given them the opportunity to check out the state of affairs in their gardens and getting those areas ready planting season. When you are ready for that then you have to be ready for mulch. One of the major benefits of adding mulch to your plants is that it cuts down on the potential for weeds to take hold. It’s also a very attractive way frame your plants from a landscaping perspective. The most popular type of mulch is organic tree bark that has been processed through a wood chipper. If you want to avoid the potential of pests coming around all together then you should consider various sources of nonorganic mulch such as stone and marble chips. 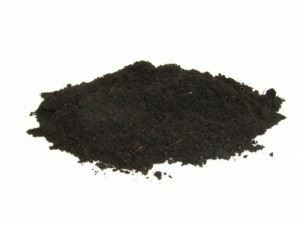 There is even a variety of rubberized mulch that is made from recycled rubber like the kind you would get from old scrap tires. Beyond picking the best mulch for your garden you may also have to make way for some new planting areas. This holds true if you want to expand your garden to grow a variety of fresh herbs and vegetables. If you dig up all that dirt you need to find a way to get rid of it. You need look no further then Junk King Kansas City. Junk King is the Kansas City-based business that specializes in junk removal. While it is true that much of their business is focused on taking away junk from peoples garages, basements and closets, Junk King also has no problem with dirt removal and hauling. This makes them an extremely effective partner in your major landscaping project. As long as they’re getting rid of your dirt they can also get rid of all that other clutter. With Junk King you can beautify all areas of your home both indoors and outdoors. This entry was posted in get rid of dirt, junk king kansas city, kansas city junk removal, Kansas City Yard Waste, KC Junk Removal, Spring Cleaning, Yard Waste Removal and tagged Junk King Dirt Removal, Kansas City Dirt removal, kansas city gardening, kansas city junk removal, Kansas City Yard Waste on April 30, 2012 by Mike Stroud. Last updated August 2, 2017 .